A beautiful 14kt yellow and white vintage brooch with 1 round brilliant cut diamond, est. 0.22ct (colour G & I2 clarity) and 30 old European and round brilliant cut diamonds, est. 0.83ct (colour I-J & SI2-I2 clarity). 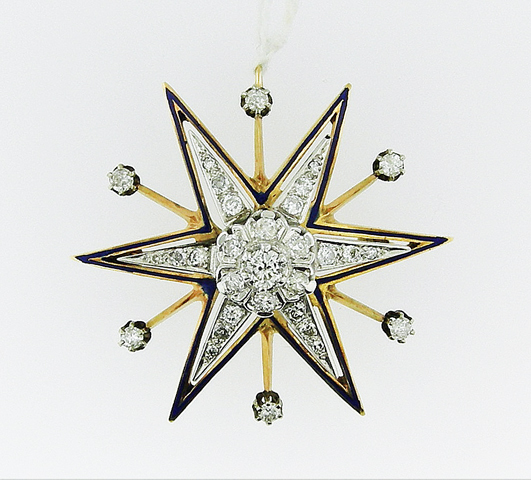 The star shaped brooch is outlined with blue enamel.